With all the TV shows that my kids have been obsessed with, there is one that still holds true more than 4 years later. My kids started out loving the lemur Zooboomafoo and learned so much from his side kicks, the Kratt Brothers, Chris and Martin. 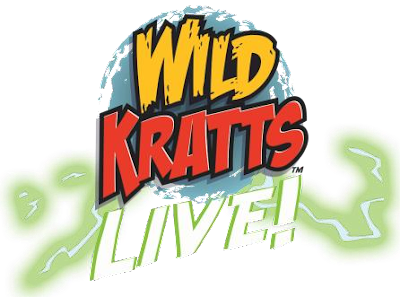 While the show Zooboomafoo has moved on, the Kratt Brothers have evolved into other educational shows such as Kratt’s Creatures, Be the Creature, Wild Kratts and now Wild Kratts LIVE! There are very few shows that I feel comfortable with my children watching a show day after day with but I feel that they have learned so much from Chris and Martin that I hope they continue for many years to come. I want to surprise the kids with the Kratt Brothers latest show because unlike the others, it is LIVE! My kids will get a chance to see them in person unlike so many other cartoons. I am happy to annouce that we are giving away tickets to 1 lucky family so that their kids can experience the wonder of the Kratt Brothers in person as well. The wildly popular PBS KIDS® television show, Wild Kratts LIVE!, is coming to the live stage. Wild Kratts LIVE! Is coming to Pantages Theatre with two shows on September 27, 2015 at 1:00pm and 4:30pm! Tickets go on-sale July 31, 2015 at 10am and can be purchased at Ticketmaster outlets, 800-745-3000 and the Pantages Box Office. The Kratt Brothers’ national tours draw tens of thousands of creature-crazy kids and their families and the not-for-profit Kratt Brothers Creature Hero Society, together with kids, has successfully protected critical wildlife habitats through the creation of nature reserves. Martin and Chris Kratt (both nominated for Daytime Emmy Awards for Outstanding Writing in a Children’s Animated Series). Wild Kratts features the brothers on incredible expeditions to meet wild creatures from the far corners of the earth. Diving into the habitats of these unusual animals with the use of futuristic technology and Creature Powers Suits that allow the brothers to take their funny and exciting adventures to where they’ve never gone before. Wild Kratts has received numerous awards since inception in 2011 including Parents Choice, Kidscreen, Aurora and 2 Emmy nominations) The series is a co-production of The Kratt Brothers Company and 9 Story Entertainment. PBS KIDS Show Comes Alive on Stage in Los Angeles! My youngest - varies, but we'll go with T-Rex! He wishes "Shark Week" was all year long! My 5 year loves Crocodile, and my 4 year old loves Lions. Right now, my son like stingrays. I have four boys who all love monkeys, lions and sharks. Band a Wild Kratts!